Spring is almost here. While the riding season here in the United States has been unusually long due to the lack of snow (at least in the North East), Alpinestars still had enough time to pull this Ace out of their sleeve. For those of us, who do not appreciate looking like a blight that is the neon festered Times Square, Alpinestars has developed the Core leather jackets. 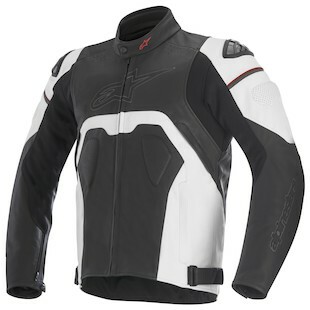 The Alpinestars Core Jacket will be the dark horse in this season’s line up. It almost brings tears to my eyes to finally see Alpinestars’ style and taste maturing. The Core jackets will officially mark the end of your days listening and fist pumping to trashy dance music while slamming down Jager-bombs. They will mark the beginning of the “new” you. The new you that appreciates going to sleep at 10 pm and the tonal complexity of Jean Michel Jarre’s music. The Core jackets will feature minimal Alpinestars logos and clean styling that will make all the post quarter life crisis riders excited. The jackets will feature Dynamic Friction Shield which will manifest itself in a form of a dual density sliders on the shoulders. The jacket will come with removable Bio- Armor in the shoulders and the elbow. Without a doubt, you will have the ability to also put in the appropriate Alpinestars back protector and chest inserts if protection is your game. In terms of abrasion resistance, the 1.1mm cowhide leather will minimize any chances of you pulverizing any 401k savings that you may have to fund costly skin grafts. To increase the comfort while in the aggressive riding position, the Core jackets will feature stretch accordion panels on sleeves and in the back. Additionally, both versions of the jackets will feature multi panel liner as well as 3D mesh to maximize ventilation. The Alpinestars Core jacket will also have a fully perforated version known as the Alpinestars Core Airflow Jacket for those of you who have the privilege of living in warmer climates. For those of us, who are past our beer-pong days, the Alpinestars Core jackets will keep us protected while still looking sharp to impress the opposite gender. Sometimes less is more. Stay classy friends and get off my lawn!